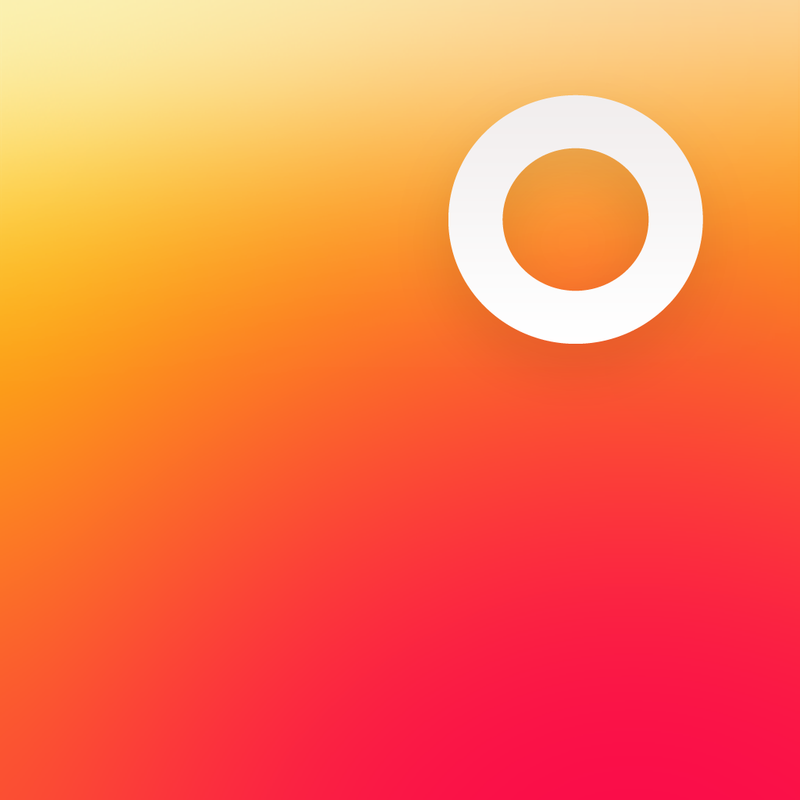 Atmos - Weather for your iPhone and Apple Watch ($2.99) by Enormego, LLC is a gorgeous new app for getting the weather forecast on-the-go. 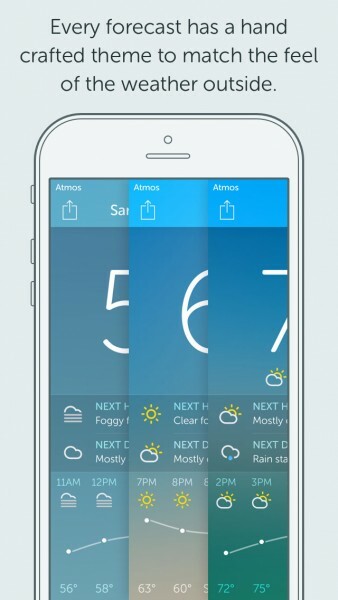 If you love weather apps that not only look good, but give detailed data as well, then Atmos is worth checking out. 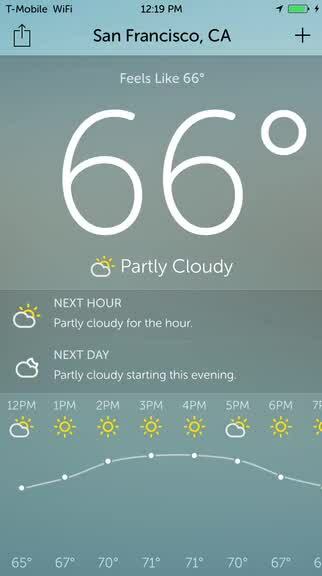 It is similar to other apps like Solar Weather, BeWeather 2, and Dark Sky. I live in Southern California, and naturally, the weather has been a bit wacky the past few days. Due to this, I’ve become more dependent on weather apps than normal, because I don’t want to get rained on while I’m doing my daily walk to fill in the activity rings on my new Apple Watch. 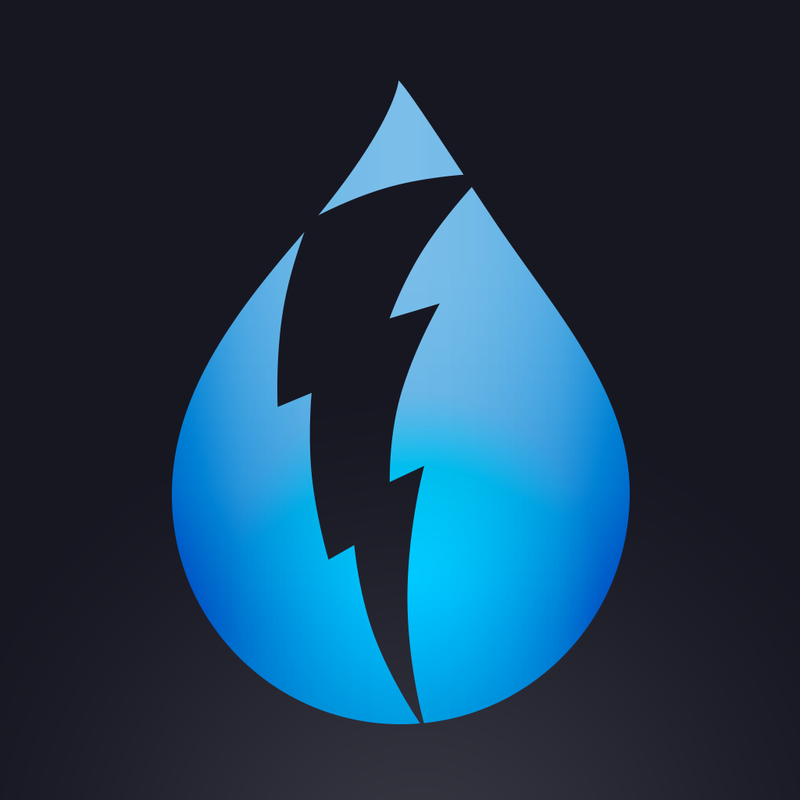 Over the years, I’ve gone through many weather apps on my phone, changing my top choice every now and then. 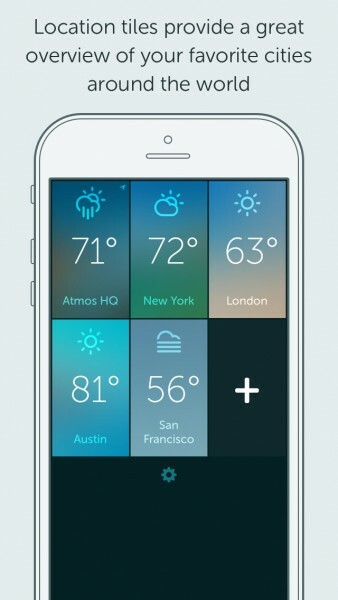 I’ve settled on BeWeather 2 for the past several months, but that isn’t stopping me from checking out the competition. When I saw Atmos on the App Store this week, I was intrigued by the design, as it reminded me of other apps I’ve used, so I gave it a spin. The design of Atmos is what caught my eye immediately — it’s gorgeous. 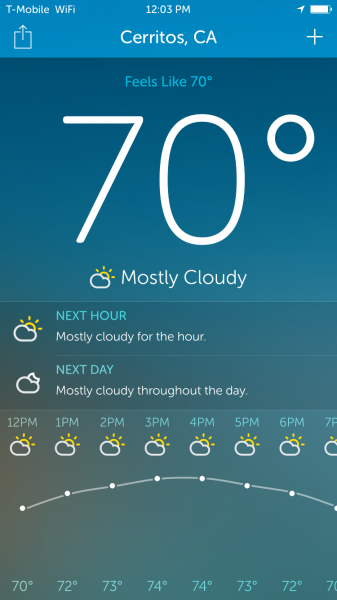 The app makes use of rich, vibrant color themes that complement the weather conditions of each location, information is laid out in a neat and organized manner, and the sans serif typeface that is used is easy to read from a distance. The simplistic icons used for conditions are recognizable too, so you’ll never get anything mixed up. There are bouncy and fluid animations as you navigate around, which I thought was a nice touch, and everything is incredibly responsive. The small “cards” that Atmos uses to show all locations in a single screen is nice, though it looks similar to Solar Weather’s implementation. One thing that I noticed about Atmos that makes it different from most apps is the custom iOS status bar at the top. Instead of going with the standard iOS status bar, Atmos has re-skinned it to go with the app’s appearance. 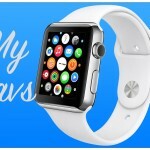 It will display your carrier, text for wireless signal (3G or WiFi), the time zone and location, and your battery level. If you have other things, like Bluetooth and Rotation Lock on, these are all hidden in Atmos’ status bar. 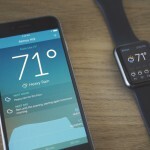 It drastically reduces clutter and melds in with the app itself. Unfortunately, if you’re not a fan of this custom bar, there is no way to have the default one. 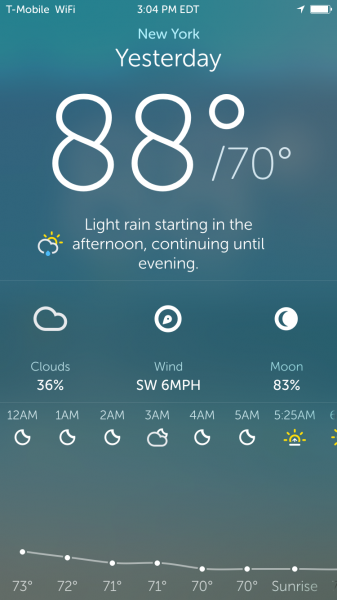 When you launch the app for the first time, Atmos will ask you for your location data so it can fetch the weather conditions for where you are. By default, there are a few other locations already added for you, but you can delete cities by doing a long-press on the tiles to bring up the location manager. 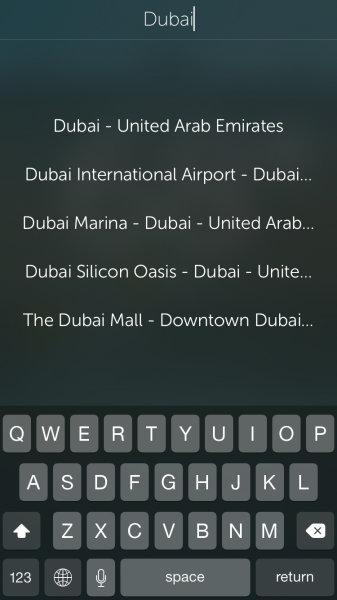 If you want to add a new city, just tap on the “+” button and then input the city or zip code. Atmos delivers results to your query in real-time and is quick about it. 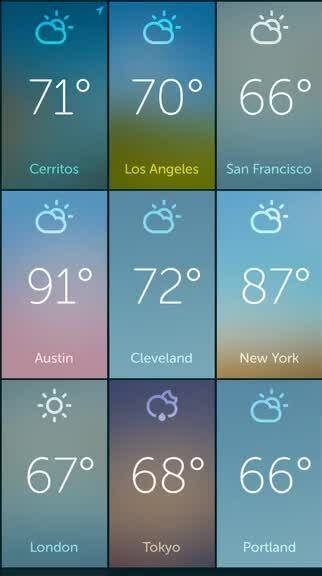 Once you have your multiple locations set up, the main screen will feature cards of all of your cities, with unique color themes to represent current conditions and temperatures. Tapping on a card brings up the detail view, and you can navigate between them one-by-one by swiping horizontally. You’re able to see current temperature, condition, text forecasts for the next hour and day, an hourly forecast graph, and a seven-day forecast (that looks like Dark Sky and BeWeather 2). If you tap on the large temperature displayed on the screen (or individual days in the forecast), you get more data like the high and lows, cloud coverage, wind speed, and moon phase. It’s not as comprehensive as other apps I’ve used, but for the average person, it should be enough. 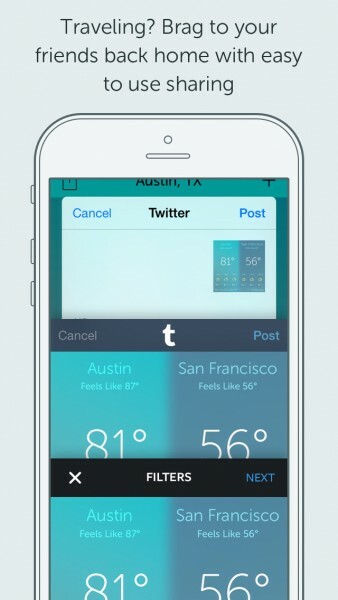 You can even share your weather by tapping on the button in the corner, which brings up the native iOS Share Sheet. 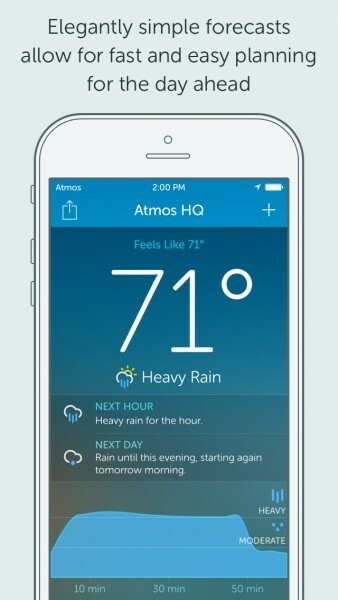 The weather data for Atmos comes from Forecast.io, which is fairly accurate. 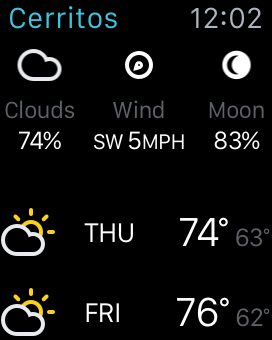 Compared to the weather on my Apple Watch, it was off by one degree, and about two degrees when I look at BeWeather 2. Personally, this is close enough for me — I am not able to tell the difference between one or two degrees when I’m actually outside, but having a general idea is always nice so I can dress appropriately. 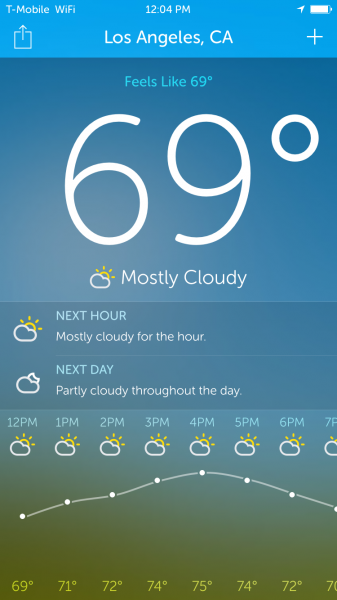 Like all weather apps these days, there is also a customizable widget. You can change how the widget looks and works by accessing the settings menu. 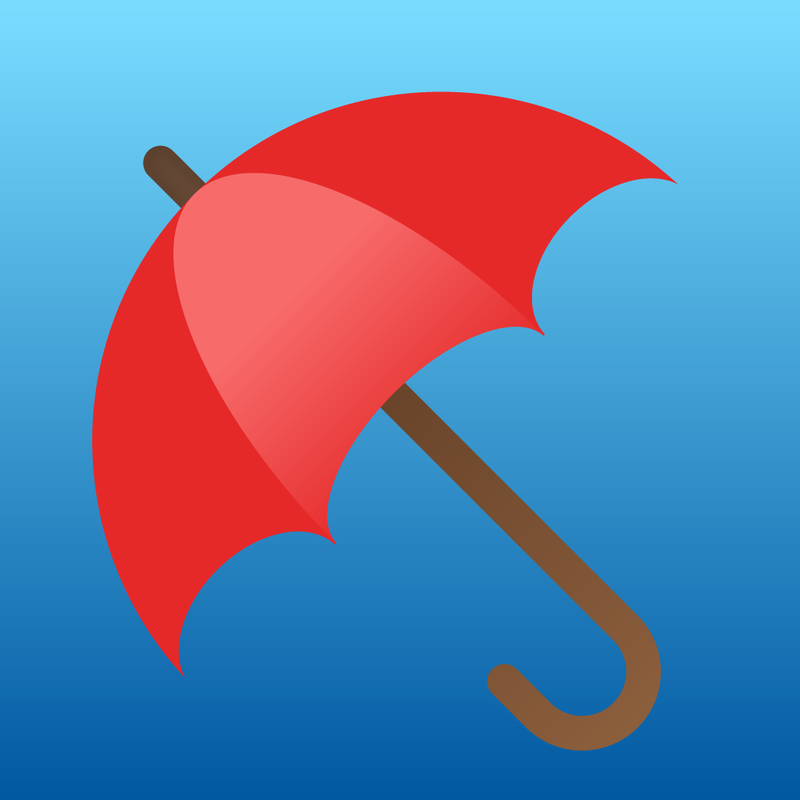 Options include daily or hourly forecast, summary text, precipitation chart, and normal or colored icons. If you have an Apple Watch, Atmos works well on it. You get to see current temperature and conditions, as well as what it will be for the next four hours. Scrolling down with your finger or Digital Crown reveals Cloud, Wind, and Moon data, as well as the seven-day forecast. There is also a Glance view for those who prefer a basic glance. At the moment, I think Atmos is off to a good start, but could still use some improvements. 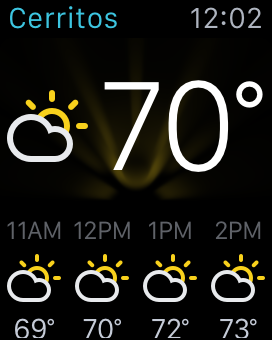 I love the design of the app, since it’s beautiful and matches whatever weather is being shown. The custom status bar is a bit weird at first, though you get used to it, but should be an option for users. 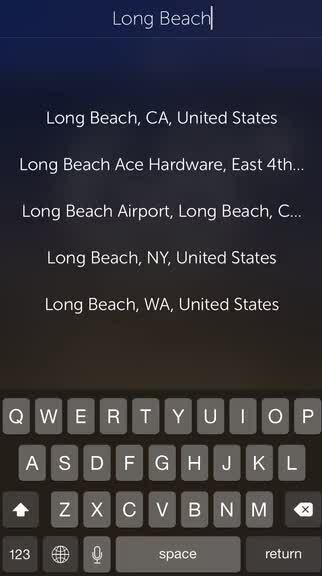 The app is intuitive to navigate and manage locations, and provides a good amount of information for most people. 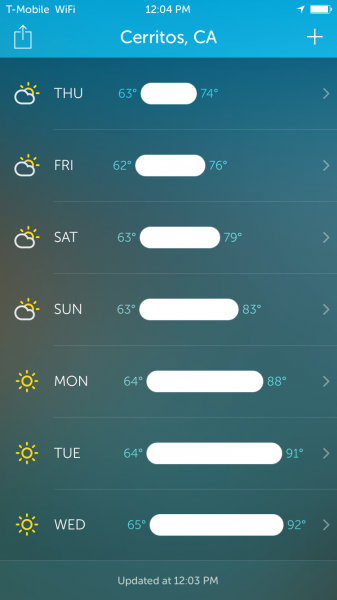 In the future, I think adding things like humidity, UV index, and other bits of data on the second screen of each location would be useful as well, so hopefully the developer considers this in the future. Atmos is a polished 1.0 app with a lot of potential in the future. 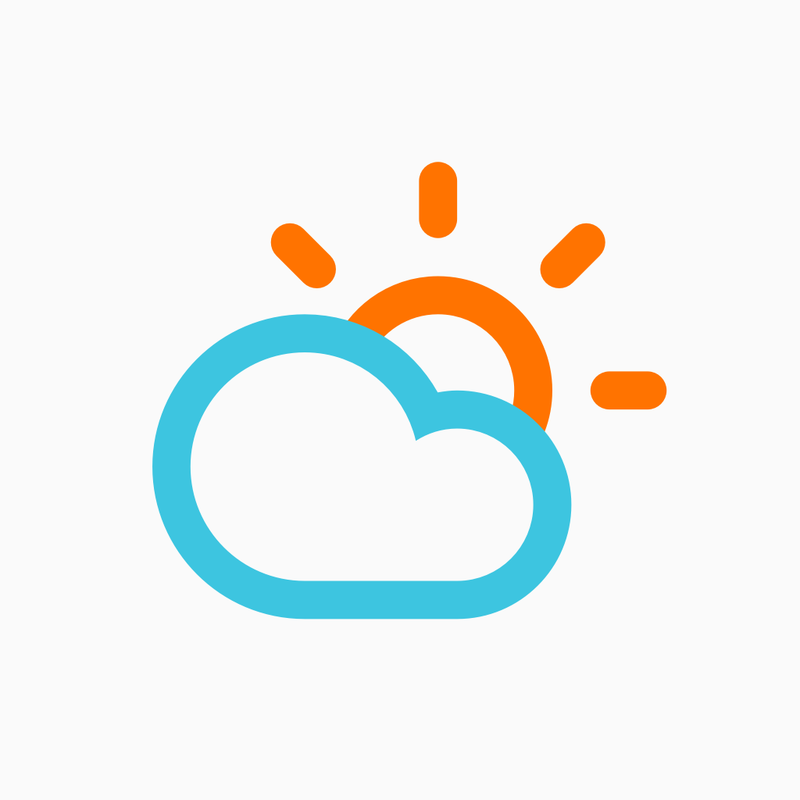 I recommend checking it out if you are looking for a stunning and elegant weather app that gives you the basics in a simple and clean interface. 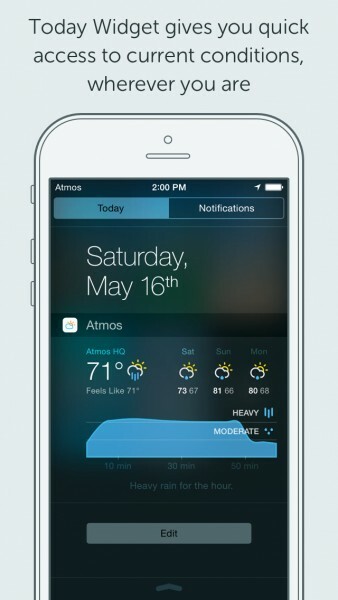 Atmos can be found on the App Store on the iPhone for $2.99. It comes with an Apple Watch app.